The year is 1888. Automated probes sent to Mars have transmitted evidence that two priceless kinds of ore not found on Earth, celerium and sylvanite, lie beneath the planet’s surface. These minerals hold the potential to completely transform life on Earth in an age of rapid technological advancement and population growth. Even more incredibly, the probes also found ice, which could be used to create an atmosphere around Mars and enable permanent human settlement there. 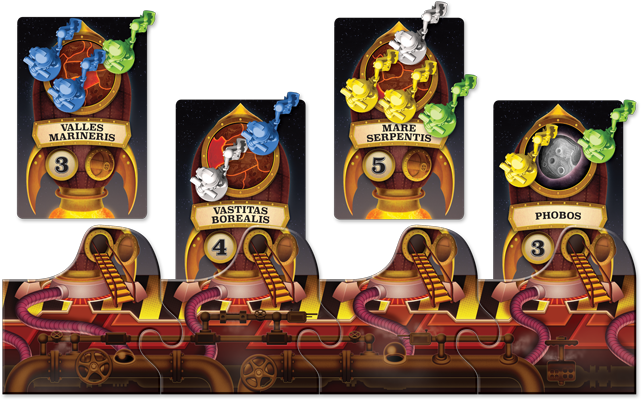 Mission: Red Planet, a board game designed by Bruno Faidutti and Bruno Cathala, puts you in charge of a ruthless mining corporation determined to exploit the unprecedented resources of Mars. Your goal is to send an expedition to the Red Planet, mine its minerals and ice, and become incredibly wealthy in the process. But other, equally ruthless mining corporations have the exact same plan. 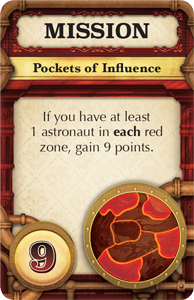 In Mission: Red Planet, two to six players compete to occupy Mars and mine its celerium, sylvanite, and ice. You earn points from not only harvesting ores and ice, but also from completing a secret mission, which may involve controlling specific zones of the planet or amassing a certain type of ore. Whoever has the most points at the end of ten rounds wins. Every stage of a mining expedition to Mars boasts its challenges. Each ship can only hold a few passengers, and with so many astronauts headed towards Mars, you may need to resort to subterfuge and sabotage to launch your astronauts into space. Once landed, you could be forced to fight against other mining corporations for control of a zone. Your astronauts could be ruthlessly killed by another corporation, or you might need to eliminate a few astronauts yourself. You may find that a zone's deposits are rich beyond your expectations, or that they contain less ore than you hoped. No matter what, you’ll need to be wily to win the race for Mars’s resources. The launchpad with astronauts, docked ships, and launched ships. Your expedition force consists of twenty-two brave astronauts and nine characters. At the top of a round, you select and play a single character who can place your astronauts on ships, help them move between zones, or undermine the efforts of rival corporations. Each character has a unique skill set and, once played, only returns to the game if you play the Recruiter character to hire them again. The Pilot gives two of your astronauts seats in ships and can change a ship’s destination so that your astronauts arrive in Hellas rather than on the moon Phobos, even if that means hijacking a ship after it has launched. 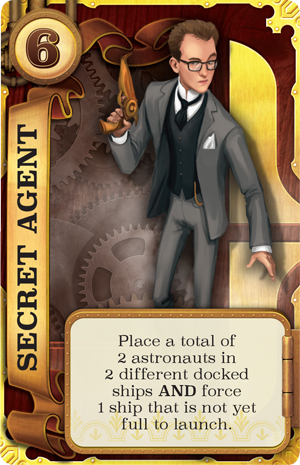 The Secret Agent also seats your astronauts in ships and can force a ship to launch before it’s full, guaranteeing that your astronauts and nobody else’s reach the destionation zone. The Explorer alone can move astronauts between zones on Mars. You won’t be able to play her every round, so the more astronauts you can send directly to lucrative zones, the better. 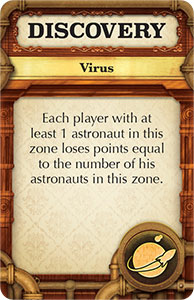 You begin the game with a secret mission to carry out on the Red Planet, and you may gain another mission in the course of the game. It might entail controlling all of Mars’s southern hemisphere, stationing at least one astronaut in every zone, or amassing heaps of sylvanite, celerium, and ice. Other players won't know for certain what your secret mission is until the end of the game. The more subtly you can work towards it, the less chance there is of your opponents guessing your agenda and working to sabotage your efforts. Unexpected events will likely occur during your excavations. 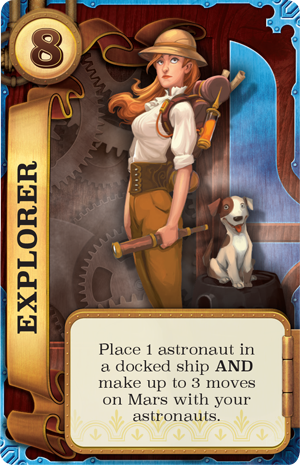 If you choose to draw from the Event deck, you could make a lucrative—or calamitous—discovery. That discovery won’t affect you right away, and it may not affect your astronauts at all, since you decide what zone to place your secret discovery in. Once placed, the discovery will remain hidden to be revealed only at the game's end. 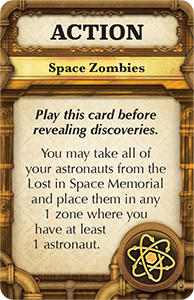 You might also draw from the Event deck a sneaky, surprise action that you can take immediately before final scoring—for example, the ability to bring your astronauts back from the dead and send them on a last-minute invasion of Mars. The race to harvest the Red Planet’s riches is fast and hotly competitive. To win it, you need to balance your secret mission with the quest to mine as much ore and ice as possible. You need to keep a close eye on the competition and be willing to use a few underhanded tricks to defeat them. Whatever your astronauts encounter on Mars, you’ll find that Mission: Red Planet offers a thoroughly enjoyable expedition to mankind’s newest frontier. 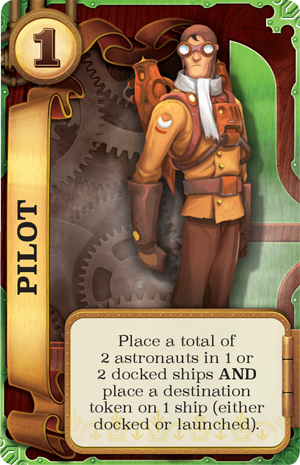 The copyrightable portions of Mission: Red Planet are © 2015 Fantasy Flight Publishing, Inc. Mission: Red Planet is a trademark of Fantasy Flight Publishing, Inc.